As usual, Ross adopts the stance of ‘taking the moral high ground’ as a peacemaker and plays the role of the persecuted martyr. It’s a clever ploy, placing young-earth creationists (YECs) in a dilemma: if we say nothing, he wins by default; if we counterattack, he and his devotees will say, ‘see, he’s right’. So we intend simply to point out the facts in response to what we will demonstrate are misleading half-truths. Note that even in this ‘peaceable’ document, he can’t resist firing shots against YECs. It seems most incongruous to call for peace while spraying bullets at ‘the enemy’. As will be seen, a good many points are covered in my new book Refuting Compromise (RC), so I will often refer to the appropriate sections. Why is NavPress publishing only one side of the creation debate? NavPress has chosen not to publish the young-earth position because it is so adequately represented by several other reputable Christian publishers. This foreword by their President, Dr Jerry White, to this latest book by Ross should show beyond any doubt that Navigators has departed from sound exegesis of the Bible in favour of long-age ‘science’. As a scientist and a Christian leader, I desire above all the proclamation of the Gospel, and I support the honest study of both science and the Scriptures. As a scientist and a Christian leader, I can affirm this as a worthy goal, and it is in fact exactly what CMI promotes. Indeed, I have been saddened by the rhetoric in many of the debates of the last century among evangelical believers. Heated argument over such issues as inerrancy, eschatology, politics, and science have diminished the loving communication of the Gospel to a lost world. Both science and the Scriptures have too frequently been twisted by some whose presuppositions have prevented honest research. That’s so true—far too many in the church have adopted the presuppositions of the materialists. CMI’s aim is to show how science makes sense when the correct biblical presuppositions are adopted. That’s why the first chapter of Refuting Compromise is about authority: will it be God’s written Word or the fallible opinions of long-age scientists? Yet biblical truth has nothing to fear from honest science. Of course not. But Ross and White conflate ‘honest science’ with ‘scientific interpretations based on long-age presuppositions’. I explain the key role of presuppositions in interpreting scientific data in Refuting Compromise in chapter 1 as well as Refuting Evolution chapter 1, Evolution & creation, science & religion, facts & bias. Another helpful article is Faith and facts. This shows that if a Christian agrees to ‘leave the Bible out of it’, then he has already conceded the non-Christian’s worldview, i.e. that the arbiter of truth is autonomous human reasoning rather than God’s revelation. Discussion and debate are important and healthy. But love and respect must permeate the discussion. Indeed so—I explain what this entails in the Introduction to my RC book. It’s also a shame that White implicitly condones the unfair attacks by Ross against YECs, as will be elaborated below (and documented in RC pp. 23 ff. and 127 ff.). Often, I have found disagreement easier in the secular context than in the religious world. Sadly, anger and hostility tend to emerge when believers debate difficult issues, and this destroys fellowship. As believers we should never fear truth that emerges from scientific discoveries. We cannot return to the days when religious leaders condemned such developments as manned space exploration or barcodes, basing their fear on a particular interpretation of the Scriptures. Indeed we cannot. But nor should we kowtow so much to long-age science that we can’t defend what Scripture teaches, as determined by the grammatical-historical hermeneutic. In endorsing this work by Hugh Ross, I do so in the firm belief that all scientific data should be considered and that we have nothing to fear in what we discover. What White fails to realise is that scientific data must always be interpreted according to a framework. White’s and Ross’s trouble is that they interpret the data by a faulty framework. As a result they interpret God’s infallible word by their faulty theories, instead of interpreting the data according to a biblical framework. I am deeply committed to the authority of the Scriptures and their inspiration by God. A strange way, I believe, of showing commitment to the authority of the Scriptures—whenever long-age ‘science’ disagrees, we change Scripture to fit! So do we see from White a firm rebuke by White to Ross for saying, “YEC views ‘encourage a form of Gnosticism.’ (Charisma, pp. 38–44, June 2003—see Shame on Charisma! )”, or comparing us to the Judaizing heretics Paul anathematized in Galatians (Creation and Time, p. 162), or even mocking the saintly scholar Archbishop Ussher? No, unfortunately not. There appear to be double standards here. Indeed, Ross’s Sydney, Australia representative (who actually rejects Ross’ day-age view, but all that matters to them is that they reject a straightforward reading of the Bible, even if they can’t agree on what the Bible does mean), even called CMI ‘distasteful and deceitful’, as if it was our fault that Ross published mocking cartoons—see our response, to him as well as to Ross himself and his cartoonist who also tried to justify themselves. … just as I would not condemn those who see an old earth solution in the data. We are all searching for understanding. We must give space for the interplay of varied views. Hugh is an evangelist, deeply committed to the Scriptures and the wonderful truth of the Gospel. He is working to honestly address the data in his scientific field as new information becomes available. Therefore, I endorse and support Hugh’s work. Let us be believers who seek truth in every realm of life, fully confident that it will never conflict with God’s truth. Not surprising. Ankerberg has long been a Ross supporter, and treated YECs shabbily as Dr David Menton documents in this letter to Ankerberg (1992). Of course, no recommendation for a YEC book ‘even if you disagree with the conclusions’. Ankerberg, like Ross, is using the word ‘literally’ most non-literally. Then follow some astronomer endorsements. But to match his ‘argument from authority’, a Ph.D. candidate in astrophysics and an astronomy full professor at a secular university checked my big bang chapter. Two passions motivate the writing of this book: the study of God’s word (the Bible) and the study of His creation (science). Alas, even though these are in the right order of priority in the sentence, in his utterances Ross continually gets these in the wrong order. Since creation is cursed and man is fallible, we should interpret the data of creation in the light of the uncursed revelation in Scripture, not the other way around. Sadly, even though zeal for motivating others toward these lifelong endeavors consumes most of my time and energy, I’ve met unimaginable and disheartening opposition along the way. YECs could say the same. So the problem is not opposition per se, but whether this opposition is justified. Debates over the age of the universe and earth and the duration of the Genesis creation days have for the past several decades deeply divided the evangelical Christian community. Longer than that. But there was no debate in Christendom for the first 1800 years of its existence. From the Bible alone, it strongly affirmed that the earth was thousands of years old. It was only after the rise of long-age ideas in ‘science’ that conservative exegetes tried to make Genesis fit; hence the rise of ideas like the days were long ages, the gap theory, framework hypothesis and theistic evolution. These were unheard of throughout the church age, because they are not in the Bible! I document this in RC chapter 3, and there is much information on our site at Did Jesus, the early Church leaders and reformers believe the literal creation account given in Genesis? But instead of dissipating with each new discovery, the confusion and conflict increase. This impediment to Christian unity appears to be heightening into a storm of ferocious fury. One might suppose the worst resistance to an evangelical scientific message would come from non-Christian scientists. Regrettably, such is not the case. The most stinging attacks come from within the body of Christ, from God-loving members of the church who suppose that the facts of nature cannot possibly line up with the truths of Scripture. I can’t imagine who these could be. But note that here we have the first of Ross’s ‘bait-and-switch’ tactics. He equates ‘facts of nature’ with his fallible long-age interpretation of these facts. There is not a single fact from an evolutionist that we dispute. E.g. we don’t dispute that a certain rock has a certain ratio of isotopes; we certainly dispute the interpretation that this ratio is the result of billions of years of radioactive decay. For this reason they call me a compromiser and, worse, a heretic. That anyone could take such a charge seriously breaks my heart. So does the accusation that I don’t care about the salvation of unbelievers. Where are these accusations? Yes, we use the word ‘compromiser’, which is a fair description of someone who compromises the Word of God to fit the theories of fallible humans. But the rest is just playing the martyr, as well as guilt by association (i.e. there may be people who say these things, and Ross is trying to tar all his critics with that brush). What could generate such tension and divisiveness? One simple word: “day”. For some Christians (young-earth adherents), a “day” of creation means a literal 24-hour day. The creation week described in Genesis is interpreted by them to consist of six days—a total of 144 hours. Yes, for very sound exegetical reasons, as I explain in RC chapter 2. That’s why Josephus, most church fathers and nearly all Reformers taught this, as I document in RC chapter 3. For other Christians (old-earth proponents), “day” equates to six long periods of time—ages or epochs that encompass thousands or millions of years each. A view unheard of in the Church before the perceived need to fit in with old-earth geology. Note also, ‘young’ and ‘old’ are relative terms. By ‘young’, we just mean in relation to the alleged billions of years bandied about so often. In reality, 6000 years is extremely old. Beware when Ross uses old-age terms in the Bible, then plays bait-and-switch and uses them to denounce the ‘young-earth’ view. See The earth: how old does it look? and RC chapter 10. Because of my concern for those who cannot reconcile the young-earth concept with their scientific observations, I founded the evangelistic organization Reasons To Believe. So, here we see the source of the conflict. By his own admission, Ross founded his ministry to oppose the young-earth view. Yet he repeatedly lays the blame for the conflict on the YECs he started a ministry to oppose! So who is being ‘divisive’? Certainly not YECs, since Paul used the word to refer to those who bring doctrines contrary to the Apostles’ (Romans 16:17), as I explain in the introduction to RC. It is partly for them that I write this book—to show how science supports Scripture and how the Bible validates science. Powerful evidence exists that can draw thinking people toward a relationship with the Creator and Sustainer of the universe, Jesus Christ. Actually, according to Romans 1:18–32, the evidence is not just for ‘thinking people’; the evidence is so plain that not a single person is without excuse. However, this evidence is sufficient only to condemn, not to save. For that, we need the special revelation about Jesus (Romans 10:13 ff.). I explain this further in RC pp. 59 ff. in the section about general and special revelation. Also, it is folly to try to base one’s faith on the latest exciting ‘evidence’, a warning for YECs as well. This book reveals much of that evidence, giving intellectually satisfying reasons to believe. Many Christians will want to read this book in order to develop an effective and comprehensive set of biblical and scientific tools to help them deal with objections to the faith. 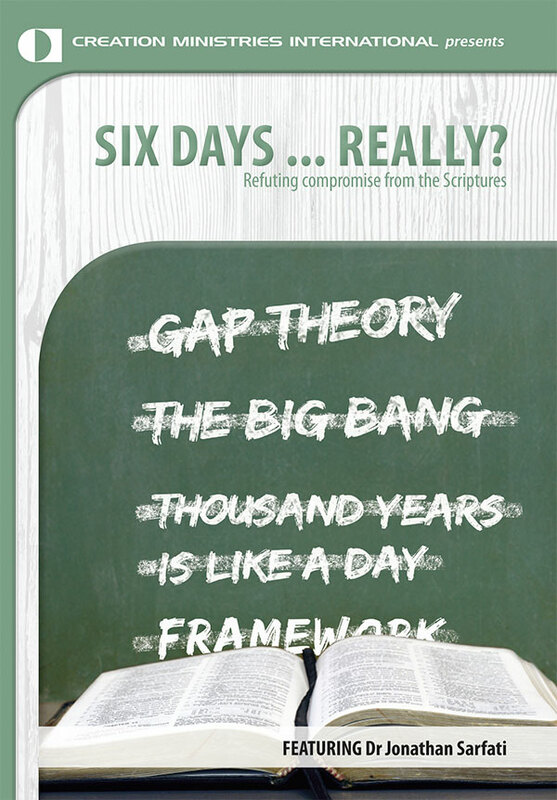 Many Christians will want to read Refuting Compromise for these exact reasons! However, RC also shows how to interpret data in a biblical framework. Therefore readers should be able to apply these principles to any new data the evolutionists throw at us. But if people come to a vague sort of ‘faith’ because of, say, Ross’s alleged evidence for the big bang, then what happens if the scientific community rejects this theory— as 33 leading secular scientists have done in an open letter? But there is perhaps a greater reason to read this book, and it is my main purpose for writing and speaking on this topic so often—to bring reconciliation, as much as possible, to the Church. By ‘reconciliation’, Ross means unconditional surrender to long-age ideas, make no mistake. That’s why he is able to preach ‘reconciliation’ while aiming at YECs—even though he’s shooting blanks without realising it. For too many years this storm of controversy over the length of the creation days has raged within the body of believers. Though belief about the age of creation or the length of a day has little bearing on the essential teachings about God’s redemptive provision for repentant human beings, divisiveness hinders the Christian example of love for one another (1 John 4:7–12). Then we must say: stop dividing over the issue! Anger over this issue thwarts evangelism and does not accomplish the purposes of God (James 1:19–20). An urgent need exists within the Church for the dawn of a bright new day. This awakening can come through awareness of the issues involved in the controversy. Looking at how they were dealt with in the past, the theological and scientific concerns, better interpretations, and some suggestions for how the body of Christ can deal with them in the future can help the reconciliation process. Objective testing of soon-to-be-fulfilled scientific predictions from both the young- and old-earth positions offers even stronger hope for unity. This is once more making fallible ‘science’ the arbiter of biblical truth. This is a faulty magisterial use of science, in contrast to the ministerial use that we advocate, where science is subject to biblical principles. I explain this contrast further in RC pp. 49 ff. Another article explaining the ministerial use of reason in general is Loving God With All Your Mind: Logic and Creation. The article Why use apologetics for evangelism? answers the opposite error to Ross, that of fideism (from Latin fides = faith), divorcing faith from reason and apologetics (what he falsely accuses us of). Dr Don Batten explains in Harvesting real fruit the problems for splitting one’s thinking into ‘two boxes’. Peace could reign in just a matter of days. Of course there could be peace if one side lays down its arms, and we know which side Ross means. How can there be peace between two diametrically opposed starting points? Is Scripture the final authority on the history of the universe? Or is ‘science’? The only way there can be peace is if Ross repents of his denial of the final authority of Scripture, as we pray will take place. Sticks and stones may break bones, but words do more damage than most people can imagine. Especially name-calling. “You’re dangerous!” “Deceived.” “A false prophet.” “A compromiser!” Charges like these by young-earth leaders, both spoken and implied, are intended to discredit, maim, and crush old-earth advocates, including me. As I pointed out, he doesn’t seem to mind insinuating that YECs are proto-Gnostics or Judaizers, or portraying the great scholar Archbishop Ussher as a dunce. Because I’m both an astronomer and a pastor, one who prefers to build bridges rather than burn them, I’ve been reluctant to participate in public debates with young-earth proponents. That’s hardly our experience with Dr Ross and his supporters. They have often challenged us to debate with Ross in a ‘neutral’ forum. We have responded by questioning whether a neutral forum exists, and pointed out that all that really matters is addressing the issues, not personalities—see Answering some Hugh Ross supporters. But for debate lovers, see this brief report of an informal debate between Ross and Russell Humphreys. Yet in 1999 I consented to a nationally televised debate on the age of the earth and the duration of the Genesis creation days with Kent Hovind on The John Ankerberg Show. Ankerberg invited Hovind and me to dinner the night prior to the debate to remind us (as he had on several previous occasions) that we’d been selected for this public exchange because of our reputation as “gentlemen”. Ankerberg expected considerate behavior. I thought Hovind and I both understood and agreed. But during the debate, in spite of Ankerberg’s many remonstrances, Hovind let go of common courtesy, and I struggled to retain composure in the face of outrageous innuendos. That is most disingenuous. As mentioned above, Ankerberg had been a Ross supporter from way back. In the debate, Ankerberg continually ganged up with Ross against Hovind. See the transcript with my analysis for ample proof. Hovind is not the only Christian to call me (and other old-earth proponents) derogatory names. Nor is the problem new. Young-earth creationist Russell Akridge, addressing the 1982 Annual Creation Convention, berated astrophysicists and astronomers as “high priests of this decades-old cult” of the “big bang myth” and as “persuasive speakers [who] have deceived an unsuspecting public.” Making this kind of offensive claim against the worldwide community of secular astrophysicists and astronomers only drives resistance to Christians and Christian teachings deeper. Given scientists’ tendency toward independence and nonconformity, the suggestion that thousands of them would band together to carry out a plot to mislead the public seems unimaginable. For one thing, we have never suggested this. But the reality is that scientists are no less prone to following fashions than anyone else. For example, many dogmatically hold to a materialist paradigm, as admitted by Lewontin and Todd, and explained further in Games some people play and The Rules of the Game. Prof. Evelleen Richards, a non-creationist historian of science, pointed out here that scientists contradicting the ruling paradigm can have a very hard time getting research grants or papers published. Another explanation must exist for the strong and united confidence of scientists in the creation dates (as billions of years ago) for the universe and Earth. There is an equally strong and united confidence of scientists that biological evolution is a fact. Therefore, by Ross’s reasoning, he should accept that to go with his geological and astronomical evolution. So this appeal to numbers is not only a fallacy, it rebounds on Ross. Insults such as the ones described have generated hostility, to say the least. They shut down communication. This seems strange—most people want to shut down YEC communication, which is why we need our own peer-reviewed journals to bypass the censorship. And they hinder the witness of many scientists who love God and want to impact the world for Jesus Christ. I came to trust in Jesus as my Savior after a two-year personal study of the Bible that convinced me that Scripture is free of contradiction and error—doctrinally, historically, and scientifically. But as a young man, I couldn’t find a church or Christian group (in walking or bicycling distance from my Canadian university) that upheld biblical inerrancy. Sounds good—we would likewise advise that people should not join churches that deny biblical inerrancy. Upon coming to the United States, I was overjoyed to meet many Christians, even fellow scientists, who were convinced that the Bible is completely trustworthy. Some showed great interest in my personal journey toward faith, especially in the study that led me, as an astronomer, to give my life to Christ. Within a couple of years, I was invited to speak on science and the Bible at a Christian conference. After my first message, a group of angry men in crisp business suits headed my way. One of them waved the pamphlet What Is Christianity? in my face. He said, “I thought you were a genuine Christian, based on what you wrote here, but your other booklet forced me to change my mind.” The disturbing words in that “other booklet,” Genesis One: A Scientific Perspective, implied that the universe is billions of years old. So he and his friends concluded, “You cannot possibly be a Bible-believing Christian!” My wife, Kathy, stood by my side, too stunned to even speak. We have only Ross’s account for this episode. Once more, is there another side to a story (as Proverbs 18:17 suggests)? And how does this prove that this is typical of creationists? YEC scientists have anecdotes of the same treatment from long-earthers, but we don’t think that such anecdotal evidence proves our case. But since Ross is so keen, here is one from our side. A while ago, an ostensibly evangelical minister in Western Australia invited geologist Dr Andrew Snelling to speak, but he was streng verboten to speak on the young earth because it was ‘too divisive’. Later, the same pastor invited Ross to speak at a major seminar. Ross did just as he is doing in this introduction: the first talk had all the nice buzzwords about peacemaking and how the main issue in the Bible is ‘not so much the “when” or the “how” but the “who’ and the “why”’ (also see below on the deficiencies of this view). But in the second talk, he ripped into leading YECs by name and ridiculed their view. Of course, Ross was ‘divisive’ by normal definitions of the word, since he divided against YECs (as well as the biblical criterion of contradicting biblical doctrine—Romans 16:17). But his supporters have invented a revisionist definition with old-earth dogma, in effect meaning that it is impossible for a dogmatic old-earther to be divisive. So people need to see the bait-and-switch of this term. I.e. by their stipulative definition, young-earthers are divisive, but it is equivalent to the truism ‘YECs deny an old earth’. Gary Bates attended Ross’s talks in Western Australia. He asked a fair and specific question about the way Ross mishandled a passage in Hosea. Ross gave a long-winded spiel skirting the issue, and Gary very gently said, ‘Excuse me, Dr Ross, but you haven’t answered my question.’ The pastor, of course claiming to be open-minded and bridge-building, ordered Gary to sit down. And Gary was booed by the Rossites in the audience! That’s what remains to be proven—merely saying so fails to do so. and the universe’s beginning (a few more billion years ago) raised not a moment’s doubt about the necessity of a Creator. Nor did it cause me concern when I first read the Genesis 1 creation account. The problem is that Ross already decided that the big bang was true, and then decreed that the days in Genesis 1 must be long ages of time. He makes this very clear in his testimony (Creation Days, audio tape, 1990). It honestly did not register with me that anyone could or would see a need to propose that the earth and universe are only a few thousands of years old or that the Genesis days are consecutive calendar days. The truthfulness of the text and the necessity of divine intervention faced no threat from the facts about Earth’s or the universe’s age. We find it hard to believe. Very few people can come to the Bible alone, leaving aside preconceived ideas of long ages, and see anything other than six 24-hour creation days. Many Christians, including scientists and others who value science, have been displaced or alienated by this storm. And Ross would never alienate a YEC scientist by claiming that their view ‘encourages a form of Gnosticism’, an outright heresy? In fact, he has done exactly that. What is the context? However, it is hardly unreasonable to show that acceptance of ‘science’ as authoritative over the Bible has led to downgrading of biblical authority. The Bible clearly teaches that the earth was created on Day 1 while the luminaries were created on Day 4. So it is denying biblical authority to say otherwise. I explain more in RC chapter 4. The long-age view entails that God is the author of false starts and extinctions—see The god of an old earth. The view also entails that death and suffering is ‘very good’, while the Bible calls death ‘the last enemy’. It makes it very hard to explain to people how there can be a loving God in the face of all the suffering. If the world is millions of years old, then death, ‘the last enemy’ has always been with us. This view really has led to apostasy, e.g. Charles Darwin and Charles Templeton. But YECs point out that this present suffering is not how God originally created the world, and that it will one day be restored. See Understanding death: Answering the question, ‘Why does God allow bad things to happen?’ and Terrorists and Death. Indeed, as shown in the Templeton discussion, Ross supporter Norman Geisler answered Templeton in exactly the same way we do, i.e. that God did not originally create animals to tear each other apart; rather, God created them all vegetarian (Genesis 1:30), and would be restored to this state (Isaiah 11, 65). But Geisler failed to realise that an old-earth view makes it impossible. Ross is more consistent, and instead denies that all animals were vegetarian originally. 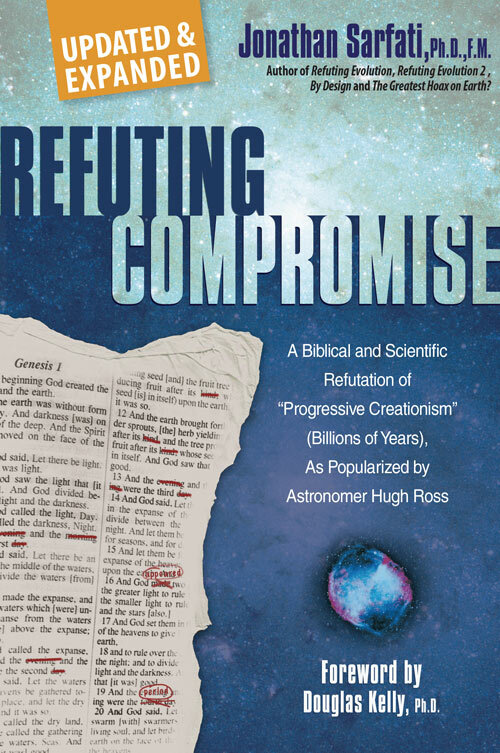 Refuting Compromise chapter 6 deals with the origin of death and suffering, and why Ross’s view contradicts the Bible. Calvin College, the ASA, and some of Wheaton would oppose Ross almost as strongly, because he doesn’t accept biological evolution, just geological and astronomical evolution. Gleason Archer, Charles Hodge, former young-universe creationist Dan Wonderly, Alan Hayward, Charles Hummel, Howard Van Till, and Hugh Ross. (Yes, my name shows up on the lists too.) Such lists, and the attitudes that generate them, cause many Christians to become distrustful and even disdainful of scientists. Without malice aforethought, they begin treating science as an enemy of the faith. Ross is still defending Hayward, listing him as a Christian, although he’s a heretic who explicitly denies the deity of Christ. And he includes Howard Van Till, who is an outright theistic evolutionist and denier of biblical inerrancy [update: and subsequently apostatized completely, to the surprise of few who knew him or his views]. Davis Young is someone who abandoned Ross’s day-age position for something even less biblical. This was largely because he tired of the exegetical gymnastics of trying to make the order of Genesis 1 fit the long-age geological order, as Ross attempts. RC chapter 4 covers this. The reader should check out our real point of quoting Pattle Pun, Gleason Archer, and Charles Hodge. It is not to question their Christian faith, but to show that they all agree that the Hebrew of Genesis suggests just what we say—but they don’t believe it because of ‘science’. Hence their ‘reinterpretations’ are really rationalizations motivated by long-age ‘science’ rather than the text. I explain more in RC pp. 55 ff. in the section ‘Old-earth compromisers due to magisterial use of science’. Ross was just ‘elephant hurling’ with his list of names, but when examined in closer details, a totally different picture emerges. This polarization is not new. For the past 200 years, the scientific and religious worlds have thundered at each other in a series of stormy battles over God. This is a false conflict. Rather, it is essentially two religious worlds, Christianity and Humanism, fighting each other with scientific weapons. These are the facts of science interpreted according to their worldviews. If He does, is He the God of the Bible? If He is the God of the Bible, how involved was He in forming the universe, Earth, life, and the human race? Is the Bible reliable, free of contradiction and error? In the past 40 years, however, the debate has veered from these core issues. Now the hurricane of controversy whirls around a peripheral point—the age of the universe and of Earth. This is back to front. It was largely the abandonment of the biblical timescale that led to a serious weakening of biblical authority in the eyes of the culture. The Scriptural Geologists realised this. See Darwin, Lyell and billions of years; The origin of old-Earth geology and its ramifications for life in the 21st century; and RC pp. 248 ff. ‘Evolutionary geology inspired evolutionary biology’. Scientific discoveries keep the intensity of the tumult in the public eye. Ours is the first generation ever to measure the size and age of the universe. A few years ago, astronomers actually produced a radio image of the universe when it was just 0.003 percent of its present age—that moment in cosmic history when light first separated from darkness. This age estimation is an interpretation. In fact, related discoveries have produced problems for big bang cosmology (which Ross accepts), as explained in Light-travel time: a problem for the big bang and Our galaxy is the centre of the universe, ‘quantized’ red shifts show. Also, there is a string of galaxies that should not have had time to form by then (Creation26(3):15, June 2003). See also RC chapter 5. Sadly (and ironically), news of this astounding detection raises anxiety rather than excitement in the evangelical community. Why? Though it magnificently affirms biblical cosmology, such data threaten belief in a recent creation date for the universe. That’s the whole point! The Bible affirms a recent creation date, so the big bang contradicts the Bible. See also Jesus and the age of the world. Many Christians are raised believing that to be true to God’s Word means to accept that the universe, Earth, and life were created in six 24-hour days, only a few thousand years ago. Most people lack the theological and scientific tools to think through the implications of this teaching. More well-poisoning, I would submit—hinting that if you believe what the Bible actually says, it’s the result of a lack of theological and scientific training. Such repeated disparagement is just what he criticizes YECs for allegedly doing! In any case, the scientific qualifications of YEC scientists such as ourselves are just as good as his, and we disagree with him (see speaker biographies)! And the leading Reformed systematic theologian Dr Douglas Kelly wrote the foreword to Refuting Compromise. In an attempt to stay out of the storm, they remain distressed and confused. Now Ross resorts to strange psychologizing of YECs. Yet a personal, internal storm constantly threatens to break out: scientific facts versus scriptural integrity, the natural record versus the written words of the Bible. No, the naturalistic interpretation of the natural record versus the biblical interpretation. Should we YECs be thankful to Ross for reading our minds and determining our deepest longings? … a cosmos not so mind-boggling, vast, and complex, with answers untainted by the presumed corruption of scientific and theological research. In their bewilderment and longing, some of these Christians stay away from science, never even considering it as a tool for sharing their faith with those who don’t know Jesus. Or else they could turn to CMI and ICR and learn to do just that!! And indeed using it as a tool to elucidate Scripture, not as a Procrustean bed to which Scripture must be stretched or chopped to fit. They steer clear of organizations that use science to reach people for Christ. Like CMI and ICR? No, that’s not what Ross means, of course—he means organizations like RTB that subject Scripture to science. But note that this is yet another example where Ross cleverly tries to dismiss YECs ‘by decree’ as not using science. Thus, their faith can’t be strengthened and supported by scientific evidence. Nor can it be tossed to and fro by every wind of science (cf. Ephesians 4:14). Even more alarming, many skeptics who need solid evidence to resolve their doubts remain untouched by the claims of Christ. Negatively, undermining the non-Christian case: ‘We demolish arguments and every pretension that sets itself up against the knowledge of God, and we take captive every thought to make it obedient to Christ’ (2 Corinthians 10:5). In fact, Solomon juxtaposed these positive and negative aspects of apologetics in Proverbs 26:4 and 5—see Don’t answer—do answer! Such people (educators, politicians, community leaders, and others) perceive evangelical Christians as nonthinkers or even as antiscience or antirational. Yes, it appears that all of this is the fault of these YECs—but Ross would never be divisive and attack us, because he is seeking unity … . Because the creation-day issue has divided many Christians into hostile camps, young- and old-earth creationists often focus more energy on defending their respective positions than on reaching out to those who don’t yet believe the Bible is true. Notice that even in his introductory chapter where he’s painting himself as the martyr and peacemaker, he throws in ample pejorative language like ‘distortions’. The young-earth viewpoint and the desire to avoid science have inoculated a large segment of society from taking seriously the call to faith in Christ. Sonia’s Testimony: Creation magazine opened my eyes to the Gospel! As shown, it’s the likes of compromisers like Hugh Ross who have done a good job of that for almost 200 years. I.e. they tell the public, in effect, that when it comes to the history of the universe, ‘science’ has the final word, not the Bible. So why be surprised when people decide that ‘science’ should have the final word about other doctrines of Christianity as well? After all, ‘science’ shows that dead men don’t rise and virgins like Mary don’t conceive. The liberals are being consistent when they ‘reinterpret’ these passages the same way as compromising conservatives do with Genesis. Thus, because of a belief in a universe and Earth only thousands of years old, the groundwork has been laid to discount the Bible’s credibility and remove “religious notions” from public education and the public arena. Please note that they managed to get rid of prayer in the public schools before the revival of YEC. Worse yet, courts in North America have come to perceive the length of creation days as a central issue of Christianity. Some leaders who don’t want creation taught in public schools are delighted that a majority of evangelical Christians accept a young universe and a young Earth. They exploit this belief to win their court cases, keeping creation teaching out of public institutions. All they have kept out is compulsory teaching of creation. We likewise don’t want this—why would we want an atheist to be forced to teach creation, and be likely to distort it? Of greater importance, they believe that by discrediting Genesis they can demonstrate a flawed Bible. Note this unbiblically pragmatic reasoning. What matters is whether a teaching is true, not how much it is ridiculed. That must be established first. And if the Bible really does teach something, then it’s just too bad if people ridicule it. By Ross’s reasoning, we probably should never preach that the Bible opposes homosexual behaviour, because so many in the establishment ridicule any idea that this is abominable. And of course, Paul would never have preached Christ crucified because it was ‘a stumbling block to Jews and foolishness to Gentiles’ (1 Corinthians 1:23). This “faulty creation message” is used to discredit the deity of Christ, the inerrancy of Scripture, the sanctity of life, doctrines on heaven and hell, and so forth. If the creation account is implausible, what basis remains to believe anything else the Bible declares? First of all, Ross must show that the creation message is faulty. It is not faulty simply because some people use it to ridicule these other doctrines. In any case, the YEC creation message provides the only coherent basis for these doctrines. Steve Allen? Should we tremble when a man best known as a comedian and TV talk-show host disagrees with something in the Bible? It should be no surprise that the book’s publisher, the atheistic Prometheus Books, would rely on such a person. But an ostensibly apologetics ministry like RTB? By Ross’s reasoning, if consistently applied to this book, we should reinterpret a lot more than literal creation week, e.g. the miraculous, all the acts of God’s judgment on sin and admit loads of biblical ‘contradictions’. See this review on Tekton. Actually, it is the Bible that gives us the correct framework to analyze nature correctly. The opponents of the Bible hate old-earth creationists and ID theorists with a passion too, make no mistake about it! So we may as well be ‘hanged for a sheep as a lamb’. Does Ross seriously believe that Ruse doesn’t include his OEC and even ID views in this? And why should we be surprised when an admitted atheist passionately attacks those who defend Genesis? ‘Here is yet another manifestation of what geologist Ian Plimer said of young-earth creationists in his book, Telling Lies for God. Plimer observes that these folks make every effort “to silence, discredit or belittle” those who dare to challenge their views’. (letter to Charisma, Sept. 2003, p. 10). Note: not the slightest mention of the Bible-mocking and vicious mudslinging in Plimer’s book, and the fact that all his amazing array of charges were rebutted by an independent inquiry. Even some atheists thought Plimer’s book was appalling (see The Main Points about the ‘Noah’s Ark Trial’ and Ian Plimer for examples). How desperate can Ross be if he needs to cite a book by a Christ-hater disowned even by some of his fellow anti-theists? Few Christians comprehend the devastation wreaked by the creation-day issue. Indeed so—that’s why they fall for Ross’s false teaching, oblivious to the damage such compromise caused in Darwin’s day! Many people dismiss the Bible because of it. The sad irony is that the creation date need not be a difficulty. (See “What the Fuss Is Not About,” page 19.) Twenty-one different creation accounts within Scripture (see table 6.1, page 66) emphasize most strongly the who of creation. To a significant degree, they explain the how of creation. And to a much lesser degree, they discuss the when of creation. In other words, the Bible itself places far more importance on the factual nature of the creation events than on the length of the Genesis 1 creation days. How many times does God have to say something before it’s important? God told Adam only once (as far as Scripture reveals) not to eat the forbidden fruit! And if we can’t trust the Bible on the when (or the order of events), then why should we trust the Bible on the who? The Bible’s central teaching about the steps men and women must take to receive God’s promise of redemption from sin, and to form a relationship with the Creator, makes this order of emphasis entirely appropriate. Misidentifying God or His key attributes could destroy the possibility of a person’s relationship with Him. Misunderstanding God’s strengths, capacities, and past works can impair the trust required to build intimacy. But misidentifying the timing of God’s past works in the cosmos has little or no bearing on that closeness. Nor does it bear upon the Bible’s authority. Yet this one doctrinal point stands at the center of the roaring tempest. As Ross should know full well, our emphasis is not on the issue of the length of day or the date of creation. Rather, our emphasis is on biblical authority. A recent creation date is merely a corollary—it follows not only from a grammatical-historical understanding of the days of Genesis and the chronogenealogies of Genesis 5 and 11, but also from the Bible’s teaching that death is the result of Adam’s sin. Young-universe Christians claim that the Bible can only be interpreted as teaching that all creation took place in six consecutive 24-hour days about 10,000 (104) years ago. Yes, because this view is, overwhelmingly, the only one compatible with the grammatical-historical approach. Old-universe Christians say the text allows ample room, with no compromise of biblical inerrancy, for creation days of longer duration and even for a cosmic origin date of just over 10 billion (1010) years ago. Meanwhile, nontheists acknowledge that the age of the universe must exceed 10100,000,000,000 years for life to have any chance of self-assembly by natural processes alone (naturalism). Most naturalists acknowledge nothing of the sort—that’s why faith in evolution from ‘goo to you via the zoo’ is so entrenched. YECs have long realized that even the evolutionary age of the universe is insufficient for evolution. This refutes Ross’s oft-repeated claim that YECs fear long ages because it might make evolution possible. See ‘Fear of the millions’. Young-universe creationists differ from old-universe creationists by only six zeros, while a hundred billion zeros separate naturalists from those who believe in the Creator. In the past I’ve called this difference between young- and old-universe proponents trivial, referring only to mathematical terms. This perspective in no way suggests a trivial difference in other respects. My intent was to indicate that young- and old-universe creationists are mathematically much closer to one another than they are to any form of naturalism. Thus, the controversy seems largely unnecessary. That’s interesting. Dr Ross might be interested to know that a lot of his supporters have given my books Refuting Evolution and Refuting Evolution 2 the lowest possible rankings on the Amazon website. It seems not to matter to them that only a small part of the books cover the age issue, and most of the text deals with opposing evolution. Since Ross and his supporters are so big about being ‘anti-evolution’, and ‘we aren’t so far apart’, then it’s incongruous that they would mark down a book on just one issue that supposedly shouldn’t divide us so much. Of course, the implications of the age issue are more far-reaching than just chronology, as I’ve explained. The emotionalism associated with the young-universe versus old universe debate also seems unnecessary. This did not stop Ross from quoting two emotional statements from anti-Christians Ruse and Allen to try to support his case. I admit that my own attitudes need continual growth and change, especially when I encounter personal insults and injuries. How about, ‘when I dish out personal insults and injuries, even when they are subtle’. Science is an attempt to interpret the facts of nature. Christian theology is an attempt to interpret the words of the Bible. According to that theology, God created the universe and is responsible for the words of the Bible. Many Christians fear that believing in a billions-of-years-old Earth and universe means they must accept a multimillion-year history for the human species. In this inaccurate notion, they see an implied denial of Adam and Eve as literal historical persons from whom the human race descended. It’s not so simple. Rather, the problem for Ross is undoubted Homo sapiens remains ‘dated’ (by the very methods he upholds) as older than Ross’s date for Adam. See Ethiopian ‘earliest humans’ find: A severe blow to the beliefs of Hugh Ross and similar ‘progressive creationist’ compromise views, and the later correspondence between Ross’s minion Fuz Rana and CMI–Australia’s managing director Carl Wieland. Another problem concerns Ross’s dating Adam as possibly younger than the carbon-14 date of Australian Aborigines, since he accepts radiometric dating despite its many problems, covered in RC chapter 12. See Did the Australian Aborigines come from Adam and Eve?. ‘RC’ covers these points and more about the history of mankind in chapter 9. Years ago, at a conference on the Genesis creation accounts, I shared the speakers platform with three old-earth creationists and one young-earth creationist. Someone from the audience asked the panel, “Did God literally create Eve out of a rib of Adam, as described in Genesis 2:21-22?”. To everyone’s surprise, each of the old-earthers—despite significant differences among us in our interpretation of Genesis—expressed belief in God’s direct creation of Eve (and Adam). Each of us appealed directly to the Bible for support, upheld biblical inerrancy and supernaturalism, and in no way capitulated to naturalistic evolutionary theory. The troubling issue is not the historical factuality or the recency of Adam and Eve but rather the identity and authenticity of the so-called humanlike species that existed before them. For more details, biblical and scientific, on the origin of humankind and the origin and extinction of the bipedal primates that preceded human beings, see chapter 20, pages 221–226. And that’s the whole point. If a fossil is ‘dated’ older than Ross’s date for Adam, Ross arbitrarily calls it non-human—no matter how human it may look or how many human behavioural characteristics are shown (see discussion with a skeptic about Homo erectus, which we assesses as human while Ross does not). Since the Bible repeatedly declares that God cannot lie or deceive, no contradiction can exist between the words of the Bible and the facts of nature. Therefore, any conflict between science and Christian theology must be attributed to human misunderstanding or misinterpretation. Such conflicts need not cast doubt on the integrity of the Christian faith or raise suspicion toward all science and scientists. Such conflicts indicate that further research is needed. That sounds reasonable as far as it goes, but again there is the bait-and-switch about what the facts of nature really are. The Bible is infallible propositional revelation from God, i.e. facts about things. Therefore, its teachings can be understood from its grammatical and historical context by the laws of hermeneutics, and are supremely authoritative. Nature is not propositional, and therefore the data of nature must be interpreted within a framework. ‘Where there has been some realization of what the Bible actually says about the revelation through the creation, the claims for science have often been modified. It will not be claimed that the findings of science are synonymous with general revelation. Sometimes all that is said is that science studies God’s general revelation. It is claimed that, as the study of general revelation, it should be granted as much respect as theology, which studies God’s special revelation. ‘My concern here is those who want to make science an authority for Christians on the grounds that it is studying God’s general revelation. Since science, as we know it today, misses the main point of God’s revelation through the creation, it could hardly be said that it should be regarded as an authority by a Christian. Additional research will help resolve conflicts. Yet, with so many storm clouds swirling, can anyone hope for a peaceful end to the tumult? I can and I do. The desire for reconciliation motivated this book. It compels me to address the controversy. I write these pages with the hope that I can contribute to the peacemaking process by presenting sound reasoning that challenges unbelief and nurtures faith. The irony of Ross claiming ‘hope for a peaceful end to the tumult’, while seeding the very ‘storm clouds’ he asserts are ‘swirling’, should not escape notice. For someone who cites a ‘desire for reconciliation’ as a motive, he has a strange method for seeking reconciliation—by biting the very hand he purports to shake. I’m persuaded that more than enough evidence is now available to resolve the conflicts between science and faith—young-earth and old-earth perspectives. No compromise of integrity is required by either side, not by the Christian who upholds the inerrancy of God’s Word nor by the scientist who trusts in the established facts of nature. By this point in his book, Ross has already poisoned the well enough that many readers would get the impression that the basis of this resolution could mean only an old-earth view. Of course, CMI has a number of Ph.D. scientists who ‘uphold the inerrancy of God’s Word’ and also have respect for real operational science, but affirm a ‘young’ earth. A first and essential step toward resolution is to trace the historical growth and development of the creation-day controversy. Bitter acrimony didn’t arise overnight. Though the date for creation has been debated since the birth of the Christian church, that discussion remained open and friendly for 15 centuries. There was in fact no such discussion as there is today among Christians because there was nothing to discuss! Old-age views were absent within the church. But the denunciation of pagan long-age conjectures was anything but friendly—see Augustine above for an example. Then, beginning just a couple of centuries ago, friendly dialogue degenerated into sharp polarization. Unfortunately, people started to undermine God’s Word starting with its very first verse. It is hardly surprising that polarization should follow.